Charlie Langreder brought his wife, Bonnie to lunch today. Dave Murphy presented the often chided KU graduate, Rick McKernan, with a gift card for all the unrecognized work he does for the club. Rick McKernan has a team of volunteers in place for this week’s computer give-away. He relied on his KU fraternity connection to get five volunteers from Phi Delta Tau to help. The actual give away takes place at the clubhouse on Saturday morning, Feb 18. He and Chuck Boots are coordinating the derby car for the Rootin Tootin Chili Cookoff display and derby car loans to Whiteman AFB (see below). • Sign In Treasurer, C.O. Scheffer was caught not wearing his name bag and paid the pig. • Club Chili Cook Off – Charlie Langreder, last year’s winner was ask to announce this year’s winner, Steve Winters, Steve will get his name engraved and added to the Annual Chili Cook Off Plaque. Thanks also to Max Miller for organizing the event and providing his delicious blackberry cobbler. • Delivered John Sapp “Outstanding Optimist” plaque presented at E MO Dist. Mtg. John does not leave his office during tax season. So the plaque was personally delivered recognizing all the work he has done handling the ordering and preparation of tree for sale at our annual Christmas Tree Fundraising events. • Oratorical – Rick encourages members to come and listen to the oratorical presentation to be held at our clubhouse at 10:00 am on March 4. The deadline for entry applications is Feb. 24. • Whiteman AFB Derby event update – Rick and Chuck are coordinating the loan of derby cars for the Derby Rally inside an airplane hangar. Airmen will come Saturday afternoon, Feb 18 to pick up the race cars. Rick and Chuck plan to attend the rally. A great way to introduce transient “Airforce Brats” to the thrills of a Soap Box Derby. • Computer Giveaway – Feb 18th- Rick has his full slate of volunteer for this event to take place Saturday, Feb 18 at 10:00 at the clubhouse. • Food Bank – Carl Scott, MU Baseball Game Day. 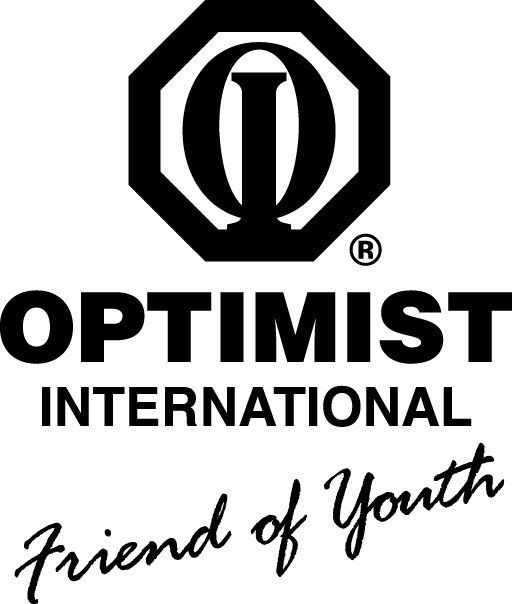 No report on the game but the Downtown Optimist Club was mentioned in the most recent Foodbank of Central Missouri magazine for our lifetime contributions in the $25,000 to $49,000 range. Carl Scott, Jim Murphy and Larry Fick spent last Monday afternoon packaging cereal for the Buddy Paks. • Scholarships -Cyriila Galbreath announce that the scholarship applications have been distributed to all the high schools in town. • Bike Safety May 20th – Mary Dewey – three months away and still progressing. • Rootin Tootin Chili Cookoff needs volunteers. Scott Stager still needs volunteers for this event to be held at the Executive Center – a cook’s assistant for the morning and 2 or 3 Optimists to help pass out cups of chili in the afternoon. Volunteers get free admission in the morning but need a special bracelet for free enter after 2:00. Call Scott to volunteer or if need help with free admission in the afternoon. (573) 424-4764. • Commend members for clubhouse condition. President Musterman’s wife, Sue, provided candid comments at how clean the clubhouse looked for the Chili Cook Off. Truth be told, Carl Scott was seen with broom in hand before the club event. • Board meeting moved to Feb 23rd. Ms. Moxon has lived in Columbia since 2005. On holiday while living in Thailand she was on a motor trip of mid-America. While visiting a friend in Columbia, she was introduced to her now husband. She started working for the Columbia Art League the following year. A big part of the CAL is managing the annual Art in the Park in which our club has invested $1,500 for this year’s kid’s activities. The Art in the Park has been an annual event in Columbia since 1959. It takes place on the first full weekend in June (this year June 3 and 4). The event is open to the public from 8:00 – 6:00 Saturday and 8:00 – 4:00 Sunday attracting an estimated 12,000 to 13,000 art lovers. Ms. Moxon established a jury of artists with expertise in different areas to select 110 artists from all the applicants who wish to sell their wares. The challenge for the Columbia Art in the Park is attracting top notch artists in a competitive market where several cities are competing on the same weekend in a 300 mile radius. Part of the attraction is weekend sales totals of approximately $250,000. The other parts of attracting artists are the welcoming perks of a complimentary breakfast and lunch for each of the artist and a trove of volunteers with golf carts to assist each artist with their set-up and tear down. One of the big local attractions is the Kid’s Open Tent where kids can spend hands on time with different art projects. Within the kids’ area is a special tent open to kids only where kids can choose from art work donated by many of the displaying artists. The child is then given a map to the artist’s booth where he or she can meet the artist. It is not uncommon for the kid’s parents to buy additional art from the child’s chosen artist. March 13 – Justin Anthony & Justin Heese, CPD Community Police – Columbia Youth Basketball.